Lab Supply is proud to carry a great selection of rabbit diets, including Laboratory Rabbit Diet from LabDiet. This full life-cycle diet comes in a pelleted form and is a complete feed that requires no extra supplementation. This diet is designed with consistency in mind and is a very reliable feed that can be used in long term laboratory studies. This feed is recommended for reproduction, lactation and growth and maintenance in rabbits. 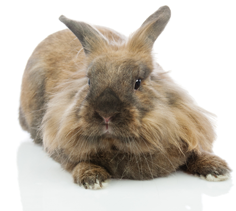 If you have rabbits in a laboratory or facility and need a diet with minimal biological variation, then Laboratory Rabbit Diet is the feed you need. If you would like more information on this great diet for rabbits, then please click here to view the product PDF. Here at Lab Supply, we are committed to making sure you find exactly what you are looking for. If you have any questions about this great rabbit feed, then please click here to visit our contact page. We will be more than happy to answer any questions you may have.